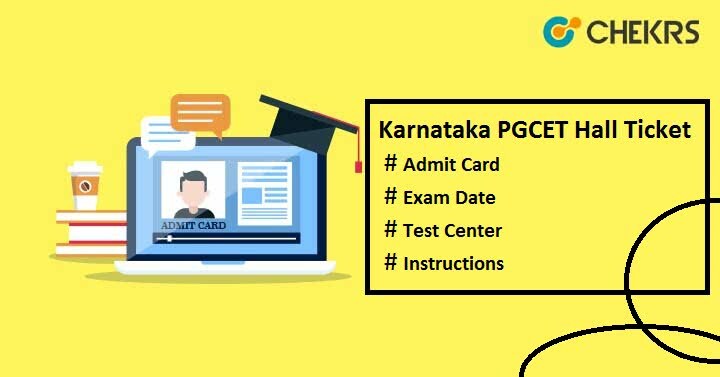 Karnataka PGCET Hall Ticket 2019: To get admission in postgraduate courses like MTech/ ME, MArch, MCA & MBA programmes and lateral entry to 2nd year MCA in various government or private institutions of Karnataka, you can apply for PGCET 2019. To attend the entrance test, candidates need to download the Karnataka PGCET Admit Card from the official site of Karnataka Examination Authority (KEA). Only successfully registered candidates will be able to access their admit card. Students can get it through online process. Here we have discussed how to download KEA PGCET Hall Ticket, exam date, instructions to be followed etc. Follow the listed guidelines to download admit card. Click on “PGCET-2019” link available in the Flash News section on home page. Search for “Hallticket Download Link” and click on it. Fill your application no. & date of birth and then submit it. The “Karnataka PGCET 2019 Hall Ticket” will be appeared on your device screen. Save it and take 2 or more copies of printout for further use. The admit card is a mandatory document which is carried to the exam center by the candidates as it has basic information like candidate’s name, exam center & its address, exam day, date & timing etc. Candidates will have to show the KEA PGCET Admit Card to the invigilator for verification and then they will be allowed to sit for the exam. Candidates carrying mutilated, tampered or distorted admit card will be not allowed to give the exam. You are advised to examine all the information printed over it. In case any discrepancies, contact to the authorities immediately via sending email. In case you lost your admit card then you can re-download it from the official page. Read all the guidelines printed on the hall ticket and adhere them. Carry any one of the photo ID proof along with the admit card (Voter ID, Aadhaar card, Passport, Driving License, PAN card, College ID). Candidates are advised to preserve the admit card by the end of admission process.